Written on 16th April 2019 . Posted in News. LBBC Baskerville’s, Dr Danny Burkle, was part of 2018’s winning team from the year long ICorr Young Engineer Programme. The programme run by the Insitute of Corrosion is a mentored technical competency framework program consistent with ICorr professional standards in support of preparing graduates entry into the industry with a broad range of topics to include; materials, cathodic protection, welding, coating, fire protection, presentation skills. The 2018 YEP culminated in the teams presenting their findings on the Case Study at Imperial College on Thursday 8th November. This was 12 months of work for the delegates who have worked through modules that span the breadth and depth of our industry. It was a truly fantastic evening with 3 excellent presentations from the teams, Team Boran, Team Googan and winning Team Doggett. Team Doggett comprised of Dr Danny Burkle from LBBC Baskerville, Dr Caroline Earl from Fluor Corporation, Oliver Smith and Jessica Easton from AkzoNobel. 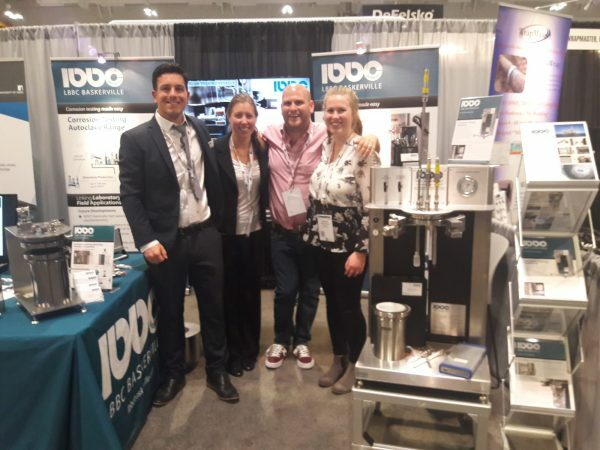 The winning team travelled to the USA in April to attend the NACE Corrosion 2019 Conference in Nashville where a whole programme was arranged. The teams will also present their conference learning in the 2019 winter lecture series at ICorr London Branch. The event will bring together insights from an industry and academic perspective. It is specifically designed to identify priority areas and recommended actions to address some of the most important and challenging issues in corrosion testing and replicating severe field conditions in a laboratory environment. Written on 5th February 2019 . Posted in News. Written on 18th September 2018 . Posted in News. Written on 11th September 2018 . Posted in News. Written on 10th April 2018 . Posted in News. LBBC Baskerville will be presenting on corrosion testing at NACE 2018 which runs from Sunday 15th to Thursday 19th April 2018 in Phoenix, Arizona, USA. Dr Danny Burkle’s paper is on ‘A study of mechanisms involved during general and localised corrosion at elevated temperatures’ and he will be presenting on Monday 16th April 2018 at 10.45am. For more details on NACE 2018 please click here to visit the website. Written on 5th September 2017 . Posted in News. LBBC Baskerville’s, Product Development/Research Engineer, Dr Danny Burkle has presented his PhD research findings in conjunction with Richard Barker and Anne Neville from University of Leeds and Rehan De Motte from IFP Energies nouvelle in France at the Eurocorr 2017 conference in Prague, Czech Republic. 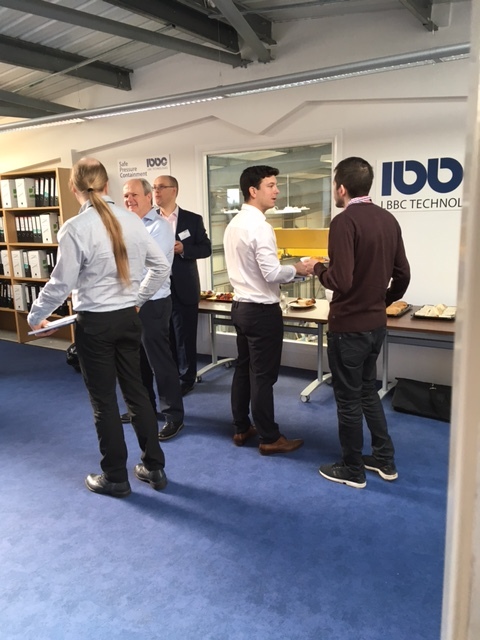 The presentation was on Monday 4th covering ‘Investigation into the kinetics and composition of the protective layer formed during ‘pseudo passivation’ of carbon steel: An in situ and ex situ approach’. The European Corrosion Congress 2017, 20th International Corrosion Congress & Process Safety Congress 2017 is being held in Prague, Czech Republic and runs from 3rd to 7th September 2017. 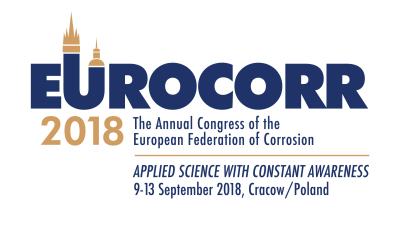 The annual conference of the European Federation of Corrosion, EUROCORR, is a flagship event in the field of European corrosion science. Uniquely in 2017, it is co-organised by the International Corrosion Council and Center for Chemical Process Safety becoming thus the largest scientific corrosion event ever held in Europe. The Congress will cover all aspects of corrosion science and engineering and material protection with world-wide reach. Main topics include the advances in corrosion prevention, corrosion monitoring, corrosion resistant materials, surface treatment and coatings, inspection and non-destructive testing, electrochemical methods, analytical techniques and microscopy, corrosion inhibitors and others. With expected attendance of 1500 delegates, the Congress will be a unique networking opportunity for scientists, academics, students and representatives of research institutions and industry in a vibrant professional setting and atmosphere. The scientific programme will consist of plenary lectures by world-renowned corrosion specialists, over 20 pointed keynote lectures and about 800 oral presentations. Fifteen parallel sessions on a variety of topics will offer corrosionists from all over the world the opportunity to meet and present their research. Written on 2nd May 2017 . Posted in News. 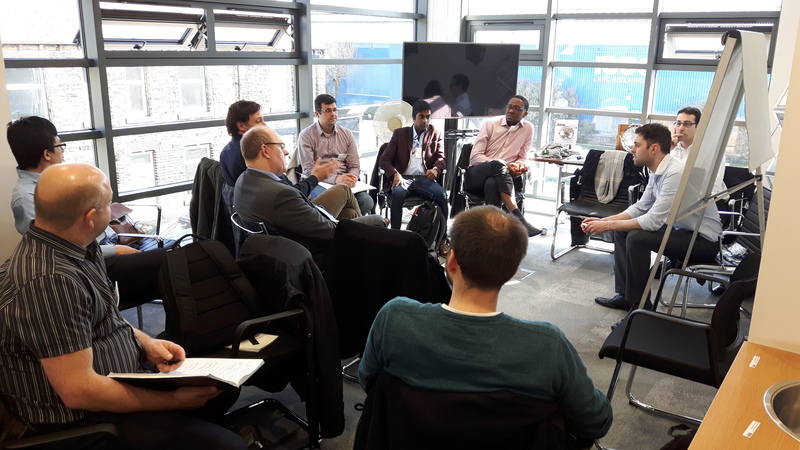 LBBC Baskerville and University of Leeds hosted a successful industry workshop as part of their Knowledge Transfer Partnership (KTP) last month. The event was well attended with a group of around 30 oil and gas and research industry specialists. Attendees heard from Professor Anne Neville, RAEng Chair in Emerging Technologies at University of Leeds on ‘The need for corrosion testing and linking to the field’ and Trevor Hughes, Scientific Advisor for Schlumberger, Cambridge on ‘Linking Laboratory Corrosion Testing to Field Applications: Current and Future Field Challenges’. There were also several open discussion sessions and a tour of the LBBC facilities. Further details of LBBC Baskerville and University of Leeds research developments will be available in due course.